Isn’t it amazing to think you’ve got friends who you’ve know for more than half your life? 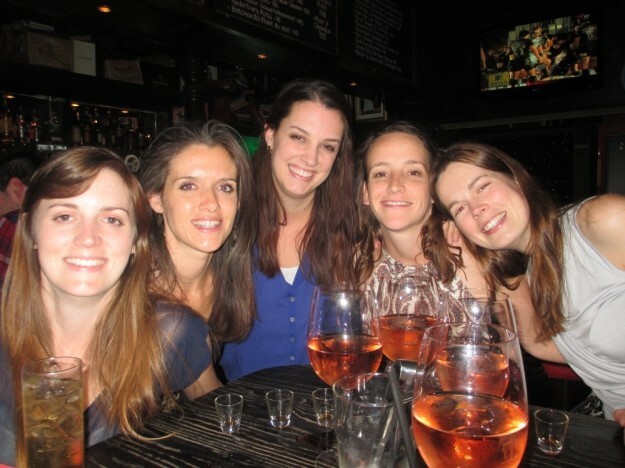 We had a wonderful catch up at a dinner at La Boheme followed up with drinks at the Slug and Lettuce on Somerset Road. It’s great to have people in your life that you haven’t seen for months or even years and you can slot back into things without that awkwardness. Such fun and a huge amount of laughs. I really do treasure my friends and I think it’s important to keep in contact and in touch with people and let them know that they are important to you. This entry was posted in Play and tagged friends, fun times, laughs. You are so right! Treasure your friends.